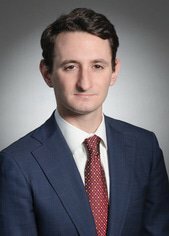 Julian N Radzinschi is an associate in the firm’s Securities Litigation, Enforcement, and White-Collar Criminal Defence Group in the New York office. Julian focuses his practice on white collar criminal defense, SEC and regulatory enforcement, and corporate internal investigations. Prior to joining Morrison & Foerster, he was an associate in the litigation group at a large international firm in New York. Julian was born in Buenos Aires, Argentina and is fluent in Spanish. He has significant experience conducting investigations throughout Latin America.